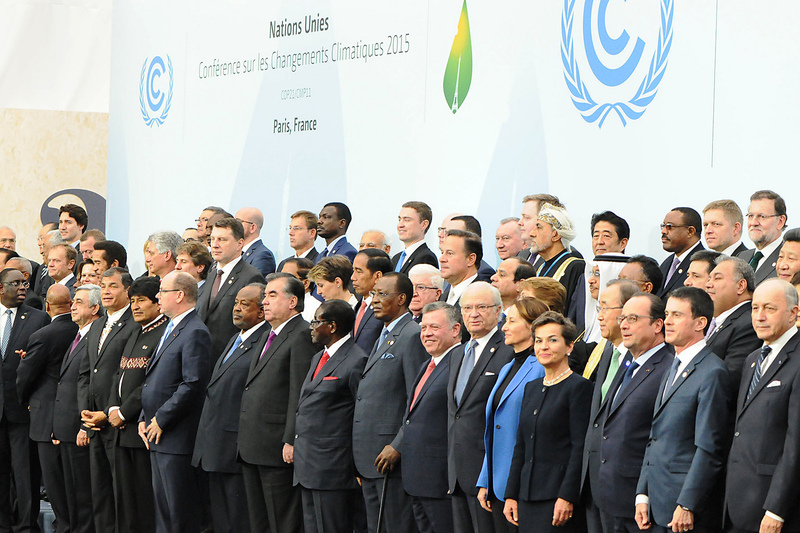 Climate Change Talks: Will We Always Have Paris? The new instrument that aims to reduce the advance of climate change on the planet – the Paris Agreement – entered into force on 4 November 2016. It has been a long way since we first heard, and with much concern, about the effects of greenhouse gases (GHG) on the atmosphere in 1988. The Kyoto Protocol – established in 1997 and in force since February 2005 – is a complementary treaty to the United Nations Framework Convention on Climate Change (UNFCCC), setting emission reduction targets for developed countries and those with transition economies, considered to have historical responsibility for current climate changes. During the first commitment period (2008-2012), 37 industrialized countries and the European Union (EU) committed themselves to reducing GHG emissions to an average of 5% over 1990 levels. In the second period (2013-2020), the Parties committed to reducing GHG emissions by at least 18% below 1990 levels. Each country has negotiated its own emission reduction targets based on ability to achieve it over the period considered. “But Copenhagen spectacularly failed to deliver that out-come. Its collapse was the result of circumstances that contrast vividly with those that enabled Paris to succeed,” mencioned Peter Christoff (2016) on his article about The promissory note: COP 21 and the Paris Climate Agreement. Between 7-18 December 2009, the Copenhagen Summit took place (2009 United Nations Conference on Climate Change or COP-15), which brought together world leaders to discuss how to respond to climate change. A kind of state of the art after the first five years of Kyoto Protocol – which was considered by the world press to have been a controversial conference that did not reach the desired discussion plans, only serving to mark a weak political statement. It is also necessary to underline the importance of the first Conference of the Parties (COP-1) in Montreal in 2005, the 2007 Bali Action Plan, the 2010 Cancun Agreements, the 2012 Durban Platform for Enhanced Action, and the 2014 COP-20 in Lima. “Ahead of the Paris Climate Change Conference, many evoked memories of the difficult negotiations that preceded the Copenhagen Climate Change Conference in 2009,” referred Savaresi. The Paris Agreement – considered a substitute for the Kyoto Protocol – is a treaty under the UNFCCC governing carbon dioxide emission reduction measures from 2020, negotiated during COP-21 and adopted on 12 December 2015. Laurent Fabius, leader of the conference stated that the plan is ambitious and balanced and marks an historic turning point in the goal of mitigating global warming. Christoff also points out in his article that the Paris Agreement was a product of EU interests because it preferred a new climate change control instrument, rather than reformulating the Kyoto Protocol. On 22 April 2016, at the UN Headquarters in New York, 175 States signed and ratified the Paris Agreement. An effort has been made. It should be noted that, in 1990, the US accounted for 22% of global CO2 emissions, the EU accounted for 19%, and China and India for 1% and 0.3%, respectively (together, they emitted 42% of total emissions). Already in 2004, China overtook the US as the main emitter of CO2. Ten years later, China accounted for 30% of emissions, the US for 15%, the EU for 10%, and India for 6.5% – the latter four accounted for 61% of global CO2 emissions.